Total job postings and applications across the JobScore Network doubled in the past few months. Employed, talented people are looking for new challenges and we’re here to help you streamline recruiting. This update outlines a few of the dozens of changes we recently made because you asked for them. 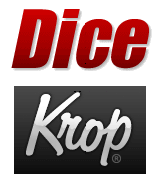 We’re always listening and we love feedback. 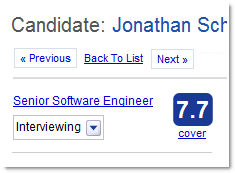 Please don’t hesitate to ask questions, send suggestions or email me at dan@jobscore.com. Store job-specific documents (assessments, spreadsheets, NDAs, contracts – you name it) in JobScore so the entire team can quickly find what they need. Easily send thank you letters as you decline applicants: zing a standard email with one click, craft a custom message or send no email at all – it’s up to you. You can modify your default thank you letter and send thank you letters to many applicants at the same time. 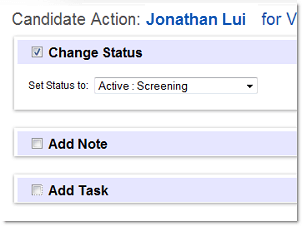 Get more done and move your mouse less using powerful new action menus and our updated candidate, job and user screens. 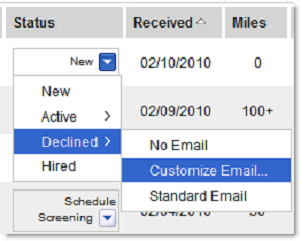 To disposition a candidate you often have to do several things at the same time … add a note, add a task and update candidate status. We know that fewer clicks= yummy goodness so we built a page where you can do all of those things at once. We overhauled search. No really, it’s all new. 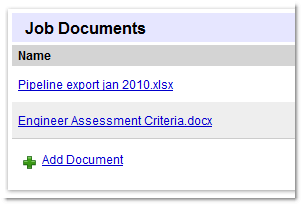 Before you could only search resume text… now you can search every candidate attribute and see highlighted results. 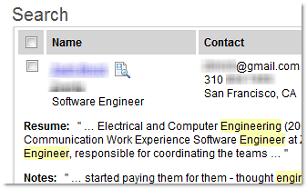 This includes names, employers, job titles, schools, notes, cover letters, email addresses and phone numbers.